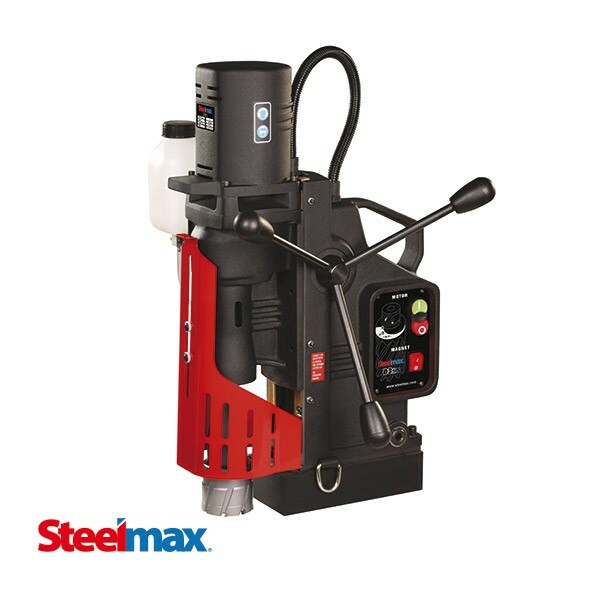 The D3XRS is a heavy-duty, multi-function magnetic drilling machine with Morse Taper No. 3 attachment system. 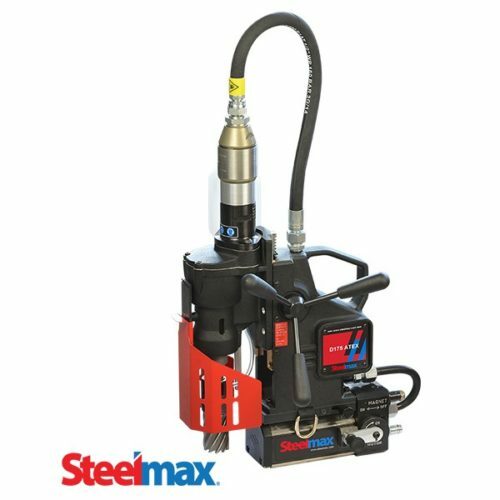 Its powerful 1,650 Watt motor, two-speed gear box and variable speed control are designed for drilling holes up to 3″ (76 mm) diameter through 3″ thick material. 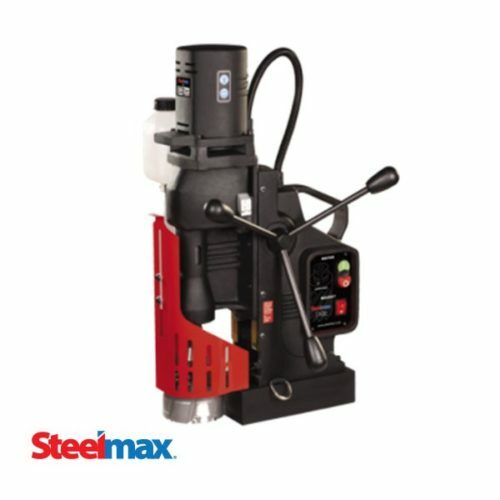 With an optional drill chuck, the D3XRS can drill holes up to 1-1/4″ (32 mm) in diameter using solid twist drill bits. 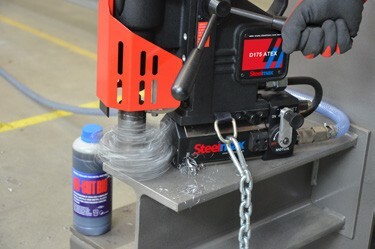 The reversing feature of the D3XRS enables it to tap 3/4″ diameter through-holes without a separate tapping attachment. With a separate Morse Taper No. 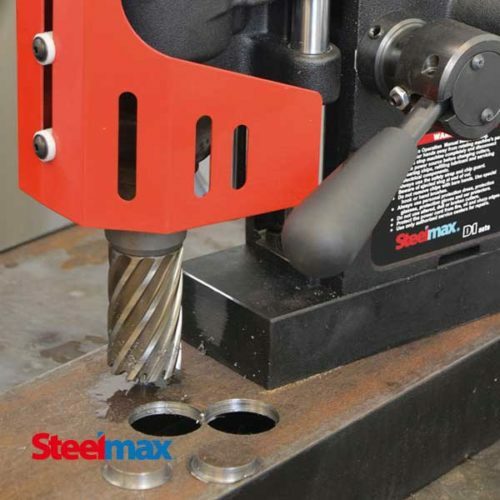 3 tapping head, the D3XRS can also tap blind holes up to 3/4″ in diameter. The D3XRS uses an integrated swivel base for easy alignment of your pilot pin with the desired center location of your hole. 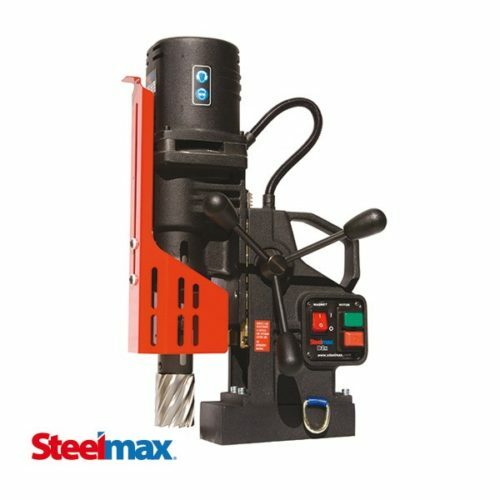 It is also equipped with motor overload protection for additional safety and long motor life. 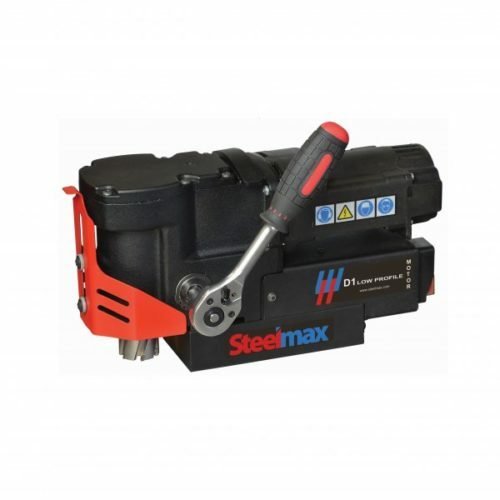 In addition, the D3XRS uses a state of the art Electronic Speed Stabilization System (ESSS) to stabilize motor speed under varying spindle load conditions. Its precision and durability are significantly increased as its gearbox housing and slide are manufactured as a single piece. 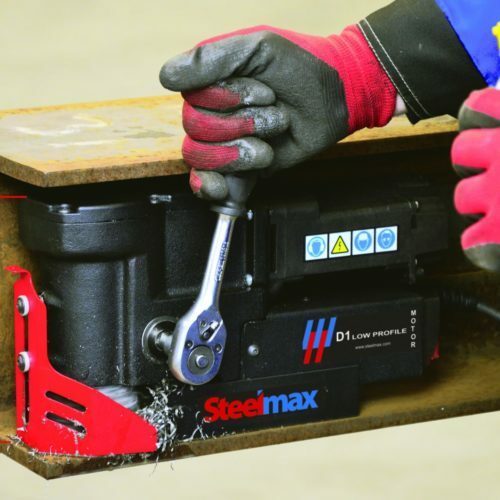 A unique, semi-automatic gib adjustment system (patent pending) enables simple, fast and precise adjustments without expert knowledge or experience. 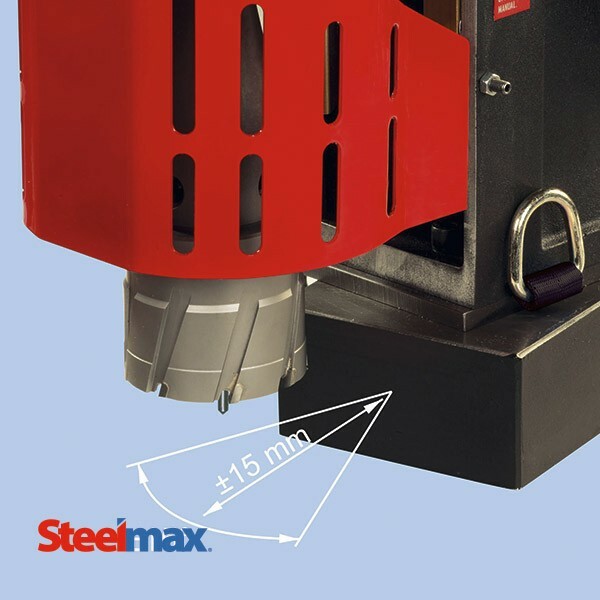 The replaceable spline on the end of the armature shaft eliminates laborious and expensive armature maintenance. 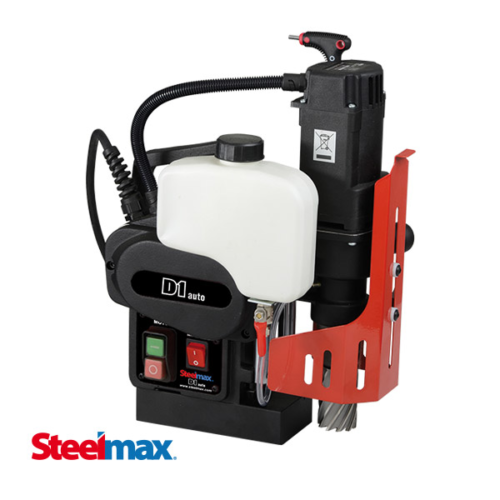 The D3XRS is equipped with our proprietary Magnetic Field Shape Control (MFSC) system which provides maximum holding power on thin material (minimum 3/8″ thickness), a Magnetic Power Adhesion Control (MPAC) module which insures adequate magnetic adhesion for safe operation and our Safe Magnet™ technology which recognizes magnetic holding power and will not allow the drill to function in unsafe conditions.